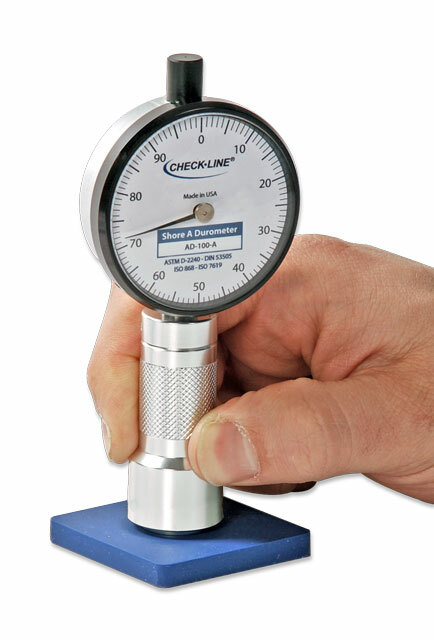 The Check-Line AD-100 durometer tester is the genesis of years of experience offering high quality Durometers to discriminating users. 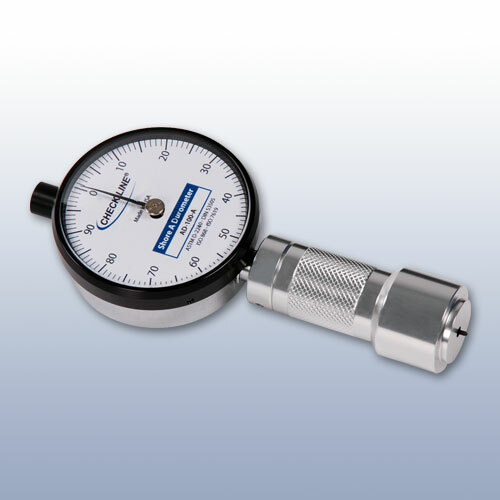 Featuring an 18mm footer that offers high stability and conforms to all international standards, the AD-100 is the ideal durometer for a wide range of shore hardness measuring applications. 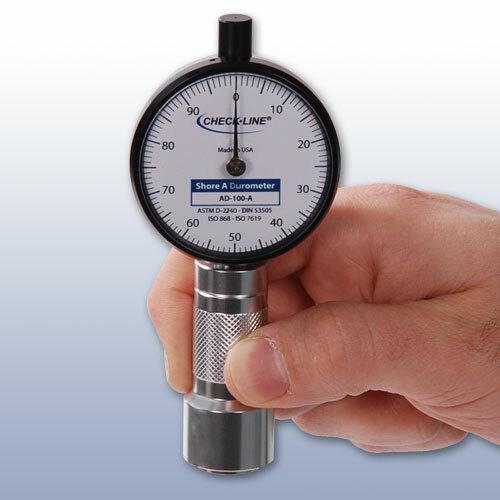 Seven models are available each calibrated for a different Shore scale including; Shore A, Shore B, Shore C, Shore D, Shore DO, Shore O, Shore OO and Asker C.
The AD-100 displays hardness readings on an easy-to-read analog scale calibrated in 0 to 100 Shore units. 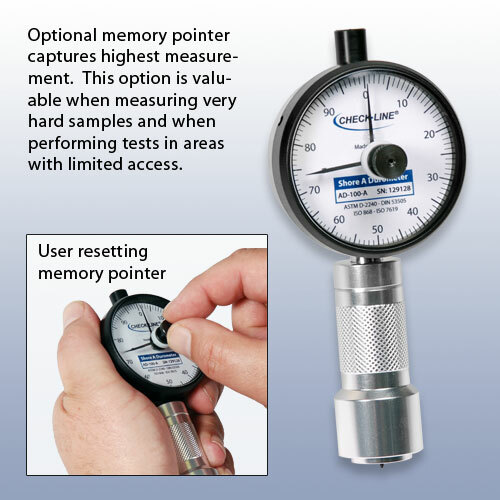 An optional MEMORY POINTER holds reading until manually reset, allowing operator to concentrate on measurement task. 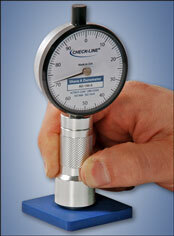 Also valuable if used in a position where dial is obstructed. 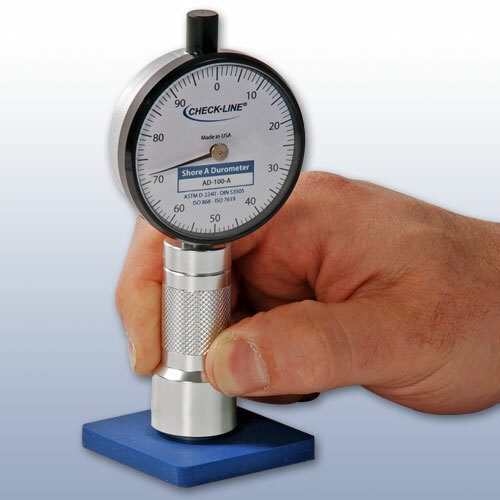 Note: Optional Memory Pointer is unable to be used with Type OO durometers. 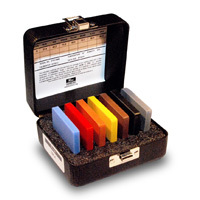 All AD-100 models are supplied in a foam-fitted protective carrying case along with reference test block and NIST traceable calibration certificate. 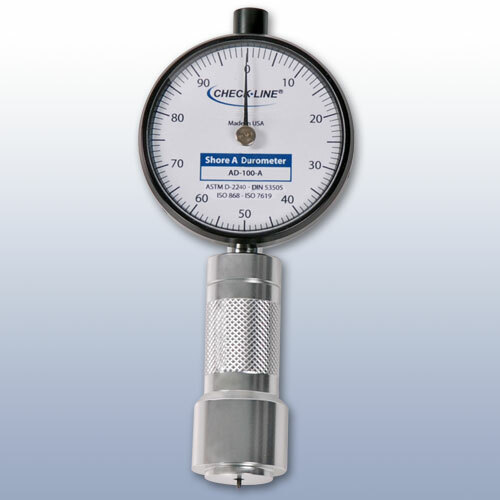 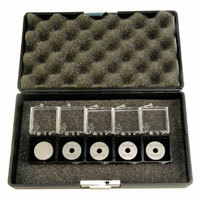 Conforms to ASTM D-2240, DIN 53505, ISO 868, JIS K 7215 and ISO 7619. 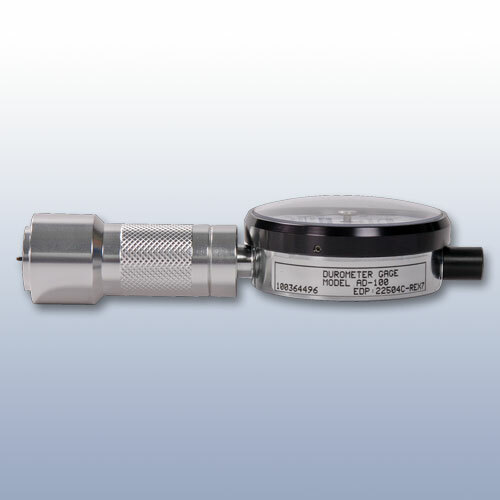 Asker C model conforms to JIS K-7312.